Our vocal cords are the physical, touchable and visual part of our body that allow us to speak. They are not the only way we communicate but they are a major “player.” When they get damaged, we are forced to communicate in other ways that can be effective, but probably not as efficient. God has a physical, touchable and visual part of Himself in which He speaks as well. I guess one could call this His vocal cords. We call them the books of the Bible. God’s voice has, indeed, changed three times. First, He simply spoke; He spoke the world into existence (John 1:1). Then Jesus came and the words of God “became flesh and dwelt among us” (John 1:14). The third change in God’s vocal cords is described in our scripture for today. The Bible became the permanent and major avenue through which God speaks. This week we will be looking at some other ways in which God speaks to us, but none are in the same league as the Bible. The Bible is the overriding and all important voice of God to us. We talk to God via our prayer life. God talks to us via the Bible. The Bible is “God-breathed,” which lets us know it truly is out of the mouth of God to our ears. 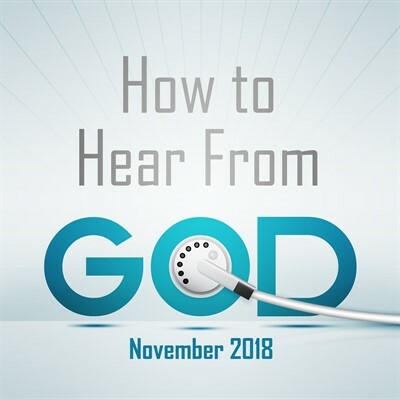 When the Apostle Paul was instructing young Timothy on how to be a leader in God’s church, he pointed to the all-important avenue of hearing from God. Please note, as well, that the apostle emphasized “all scripture,” not just a partial choosing of selected scriptures. Father, I will read the Bible today with careful attention to the truth you are communicating to me. In Jesus’ Name, amen.